Doctor Who at Christmas has been a tradition for so long that it’s nigh on impossible to remember a time without it. They’re delightful bouts of science fictional, festive fun typically with a lighter storyline and a seasonal set piece. 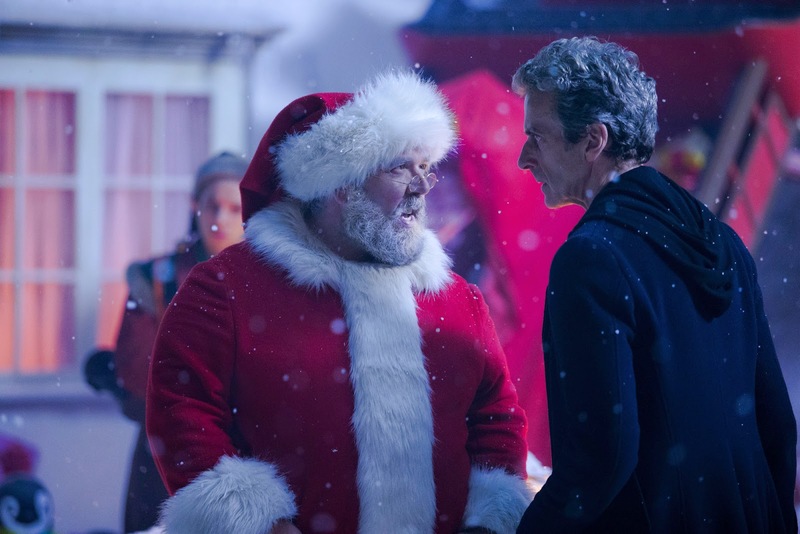 This year, much like A Christmas Carol in 2010, Doctor Who featured a sleigh ride and in lieu of sharks (indeed) we had genuine reindeer and Santa Clause himself. What could have been a gooey, schmaltzy sequence was, in fact, entirely heart-warming and a terrific ending to one of Who’s most rewarding Christmas specials yet. Last Christmas was heavily advertised as boasting one of the scariest monsters yet and they certainly got that right. The Kantrofarri – or Dream Crabs – were a suitably gruesome menace for the Doctor with their mollusc-like appearance and ability to open like a clam at will. But while Last Christmasprovided some spine-chilling moments – particularly the scene when Clara is forced to hide under a table from the haunted house-esque dismembered hand – it was a thoroughly emotional story. One of the most frustrating things about last series’ Death in Heaven finale was, of course, the untimely death of UNIT whizz-kid Osgood but also the Doctor and Clara’s lying to each other. In order to keep the Doctor away from Earth, Clara lied that her flame, Danny Pink had returned and in order to keep Clara out of the TARDIS, the Doctor lied that he had found his home planet, Gallifrey. The fibs were fabricated to save the other’s feelings and while it restored something of an equilibrium after Death in Heaven, the curious return of Clara meant that the pair had to face up to one another. Writer Steven Moffat isn’t a very honest chap himself and it seemed likely that we would not get a resolution to the Doctor and Clara’s unfortunate predicament but, sure enough, tonight he settled it and with little beating about the bush. Clara’s cry of “Danny Pink is dead” was sorely felt and months on from his death, she is evidently still struggling to cope without Dan the Soldier Man. Moreover, there’s her life on the TARDIS, which has been difficult for her to leave behind (she even admitted in Mummy on the Orient Express that she’s addicted to the time travelling lifestyle) but here she slips back into the role of companion seamlessly. Jenna Coleman is, once more, terrific with standout moments like the initial dream sequence with Danny and her shot playing with the BBC’s elderly make-up (after Matt Smith had a go last year). I don’t think Peter Capaldi even needs a mention because his work here was, expectantly, superlative, nailing the right mixture of sardonicism, awkwardness and warmth. Backing up Coleman and Capaldi were Faye Marsay, Michael Troughton (son of Patrick), Natalie Gumede and Maureen Beattie as Shona, Professor Albert, Ashley and Bellows respectively. All were terrific with Marsay and Gumede particularly exceptional. Steven Moffat must be commended for his script here, rounding each character with just a few lines of dialogue each. The moment the team were all expelled from the dream within a dream, I felt a pang of sorrow knowing that they would forget their adventure and be consigned to their ordinary lives. Incredible stuff. 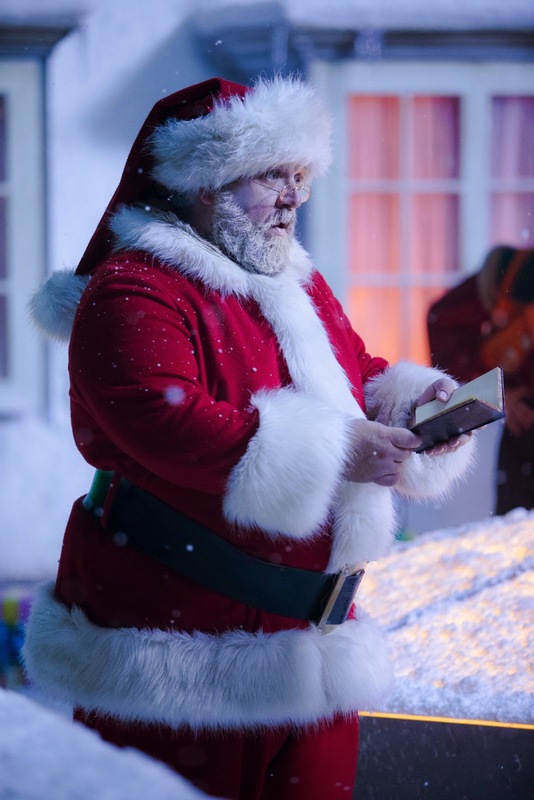 Nick Frost must be given a mention for his work as Father Christmas although I will admit that I found his interpretation of Santa Clause just a little bit too vanilla. While Frost is a more than capable actor, I felt he didn’t fit the role here as a rudely abrupt and occasionally amusing Santa. To be honest, I thought there was a little bit too much razzmatazz disguising the pointlessness of his character (see: the toys that foreran his appearance). Yes, he was the figure magicked up by the characters’ minds to coax them out of their dream state but it didn’t need to be him. Santa felt like a holiday insert, a Christmas icon to slap on the marketing, there only because it makes the special much more festive. 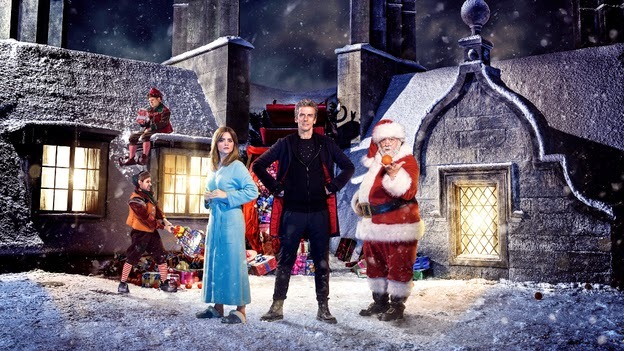 If you had removed the time period and Santa then Last Christmas would easily have fitted into series eight or nine. Nonetheless it was thoroughly compelling television, a perfect sci-fi drama to graze on Christmas Day. A quick side note: did nobody else get The Seeds of Doom vibe? The beginning of Last Christmas followed a very similar path to the Tom Baker story with the Doctor and Clara turning up, much like his fourth incarnation and Sarah Jane, in the Arctic tundra in unsuitable clothing to discover a base under siege from deadly, organic creatures. The fate of Clara has been hung in the balance since Death in Heaven. Will Christmas be the last time Clara sets foot on the TARDIS (until the next anniversary special/juicy pay cheque comes her way), we asked last month. Evidently not although the seams are visible. When Clara was unmasked from the Dream Crab, revealed to be an old woman, I thought it was the end and Steven Moffat’s script played all the right, sombre notes. Clara could have passed away as an old woman with the Doctor at her side before he hopped into his TARDIS to find another companion but instead we had one last twist (one that had me grinning, admittedly) and it was that the pair were in yet another dream. You could see the joints, the moment when Last Christmasmade a U-turn and kept Clara on-board and despite myself, I’m glad. Clara has come such a long way as a companion with Jenna Coleman contributing layered, likeable and splendid performances each week. Where she will go here is anyone’s guess (her character has a new personality trait added every series, she’s constantly changing gear) but I can’t wait. I’ll see you in August for The Magician’s Apprentice.